Is Guidance on Opioid Prescribing Jeopardizing Pain Management for Cancer Patients? Opioids have been known to help manage pain experienced by people with cancer. 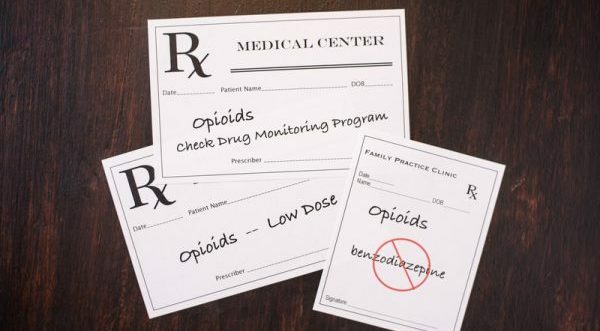 But, clinical guidelines from many government agencies attempting to combat the opioid crisis is shaping clinical care for all pain sufferers, including those living with chronic cancer-related pain. One very influential guideline, The Centers for Disease Control and Prevention (CDC) Guideline for Prescribing Opioids for Chronic Pain, is causing confusion among clinicians who care for people with cancer because they are inconsistent with the long-standing and current national cancer pain guidelines, such as the National Comprehensive Cancer Network (NCCN). According to the University of Pennsylvania School of Nursing, in an upcoming article in JAMA Oncology, lead-author Salimah H. Meghani, PhD, MBE, RN, FAAN, Associate Professor of Nursing and Term Chair of Palliative Care at the University of Pennsylvania School of Nursing (Penn Nursing), and co-author, Neha Vapiwala, MD, Associate Professor of Radiation Oncology and Vice Chair for Education in the Perelman School of Medicine at the University of Pennsylvania (PSOM), call for key agencies (CDC, NCCN, American Medical Association, American Society of Clinical Oncology) and other organizations to collaborate and resolve these inconsistencies. The article is available online first and will be published in the October 2018 issue of the journal. “Competing contemporary guidelines from diverse authoritative agencies and organizations carry the potential to confuse, if not seriously jeopardize, pain management for patients with cancer who are living with moderate to severe pain, adding to an already appalling burden of unrelieved cancer pain,” said the authors. The CDC guidelines apply to cancer patients who have completed cancer treatment (in contrast to those who are receiving current cancer treatment). Yet research shows that similar levels of pain are experienced by cancer patients who have completed cancer treatment and those who are under current or active cancer treatment. The CDC guidelines recommend avoiding prescribing long-acting opioids, especially concurrently with immediate-release opioids. But NCCN guidelines, which are used widely by oncology clinicians, indicate co-prescription of long- and short-acting opioids, the latter to manage pain flares that are common among cancer patients. The CDC also advises use of non-pharmacologic therapy and non-opioid pharmacologic therapy for chronic pain. But adoption of this guidance by oncology clinicians is hampered by lack of evidence that these other interventions are effective in managing moderate to severe pain. In addition, the few non-pharmacologic treatments that have demonstrated some effectiveness are cost prohibitive for many patients. “Already, opioid prescribing practices are a function of complicated decision-making processes. Clinicians who care for patients with cancer are frustrated by an increasingly overwhelming set of institutional, regulatory, and policy requirements around opioid prescribing that can interfere with being good stewards and advocates for their patients with pain,” said the authors. Thus, this article underscores the importance of accessibly communicating the streamlined guidelines to oncology clinicians and primary care clinicians who also care for cancer patients with chronic pain who are on long-term opioid therapy. Fibromyalgia – Can We Crack the Code and Put The Patient First? My VA doctor prescribed 4 10mg Norcos/day for yrs for my AS pain. This allowed me to be a normal functioning person in my 60’s. Then 2yrs ago he suddenly reduced my prescription to 3 5mg/day due to the new CDC regs and I had to request a refill each month. Now he wants to cut the dose even more! The 3 hardly touch my pain. I am less active and have days when I am in Real pain. I feel I am being punished for something I didn’t do…abuse drugs. Why? The so called law makers aren’t doctors period ! The have no right to tell our Doctors how to treat our pain . Both my parents died of cancer and my mother wiboth cancer and Alzheimer’s . I miss them terribly but am glad they aren’t in todays climate with the fake so called war on opiates. I have several conditions that cause pain on a daily basis it’s hard to deal with . My spine Isssues ddd Arthritis Spial Stenosis etc long list . The leg pain is mostly causing me to fall and I’m only 60, I will be in a wheel chair before long ,Having pain medication is the difference between having to be in bed or on my chair , or with my medication I can do easy chores shop for groceries etc Quality of life . It’s being taken away from all people in pain What the hell is happening My pain Management abandoned me recently because a CVS Pharmacist decided to tell him how to do his job and how to treat his patient. DO NOHARM ! We really all need to sign the petition on this website and start a Class Action Law suit ASAP ! I really feel for Cancer patients too and all that have already committed suicide because of our so called Mickey Mouse Lawmakers . Let’s do it Everyone ! We need to be relentless . We are in pain but we need to at least try to fight the fake stats on opiates !My question is did Trumps wife get pain meds when she just had surgery ? Oh probably ? I’m not sure how to start a class action lawsuit but I’m sure someone on this site does know how. Much love to all of you you guys are awesome for speaking up ! Physicians are reducing pain patients opioid levels without medical justification. If a pain patient required six 30 mg morphine a day to control their pain. What changed medically to require the dose reduction? Was the physician over prescribing? DEA investigations in Washington D.C. has told me “patient doses should only be changed for medical necessity and not policy”. Medical decisions to prescribe medications must be based on medical evidence and not policy. What if we took the same approach the Second Amendment protectors do? Think about it. Statements like, “It’s not the gun, but the person behind the gun.” “More guns would take care of the problem!” “Just because there are a few crazies doesn’t mean you punish responsible gun owners.” There are many more. The Second Amendment gives us the right to bear arms, and we also have the right to life, liberty and happiness. Just like there are “a few crazies” who use drugs and kill themselves and others, why should those of us who use our necessary pain meds responsibly to get through the day be punished? We have had 22 shootings in our children’s schools since January of this year, yet we continue to hear what I wrote in the first paragraph. And don’t get me wrong. I am for sensible gun rights and a responsible gun owner. But how can politicians ignore the amount of gun violence so easily while telling our physicians what drugs they can prescribe because 4% of the population who has taken opiates became addicted to them after using them -not as prescribed, mixed with alcohol, heroin, cocaine, etc, so it’s not the person’s responsibility, *it’s the fault of that little pill. * And the doctor that prescribed it. How ridiculous. The doctor that prescribed the pain meds can be held accountable, yet those who sell guns are not. Guns can also be bought on the street. I guess if the AMA gave as much to elections as the NRA, things might be different. Just an idea of a different approach. If it works for guns, why can’t it work for our meds? It’s not the pill, or the licensed physician that prescribes the pill in reasonable amounts. We demand to have our rights when we are responsible pill owners! …I mean pain management patients. I wish we had the energy to advocate for ourselves. This is so frustrating. In simple terms why can’t the goverment interview,ask or atleast let chronic pain sufferers have a say in this matter. We are not stupid nor are we responsible for the opioid crisis. Come on let’s face it. There are no practicing pain medication doctors any longer. This will be true as long as the government chooses to continue the Takeover. As my doctor said he is only doing as the government says because if he doesn’t he won’t be able to help anyone. I think we can all figure out what that statement means. No license no practice. They’re just puppets and they are just doing what the government asks and that is eliminate an entire class of Citizen who doesn’t have the right to exist. Didn’t Hitler think the same thing in 1939. It’s genocide by any measure. There’s no one who can help us who have pain more than we can stand unmedicated unless you call 90 mme medicated. Anyone who has been chronically ill for a while knows it that is simply isn’t enough to get a fly high let alone treat chronic pain. I think worse than the physical pain is the mental torture that we have all been subject to for for 5 years now. I feel sorry that my family has had to watch me suffer and feels just horrible that they can’t change what now has become our worst nightmare. No one wants to talk to you not even your family because they can’t help and honestly just don’t know what to say. That’s what I feel like. A friend of mine who runs a drug treatment center said ” prescription meds are not as easy to get now , the days of getting 250 oxycontins are gone . Only way that lawmakers will listen to us chronic pain patients , is to be in their face .letters ,calls etc . Even most doctors are caving in to the spineless lawmakers . The”Government Agencies” really need to go after the ILLEGAL drugs that are out there and STOP trying, and I do mean TRYING to practice medicine! This mess is beyond ignorance! The CDC is full of childlike idiots that are being double paid by outside sources and any scientific views coming from this agency come into a bad light because of the lack of integrity at this agency. These outside sources paying the CDC’s so called scientists off either having a religious agenda, political or monitary one. Addicts can get more pain meds than normal patients because they pay cash as if they are more deserving and that laughable slap in the face that Andrew Kolodny for 90 Milligram Morphine equivilent doesnt help people that are in a real pain management program it hurts them. I am in pain now because of it. It does not take into account that pain is cumulative, ie if someone hit you in the spine with a hammer gave you some pain meds to the point that covered your pain just enough to take the edge off (not high) then sawed off one of your legs, you would need additional pain medication to cover the pain. I have 10 things wrong with me and at multiple times a day it feels like my back is ripping me apart. The CDC has cost vulnerable people their jobs, homes and lives with their irresponsibility and lack of any compassion. I believe I can say this for everyone with a current Opioid script that is a responsible adult that the CDC can go to hell. I would not be surprised if there were not people committing suicide on the steps of the CDC. All of this post is my opinion. No opiates. All patients in pain despite cause need stick together and we need a class action lawsuit we are a protected class by ADA. I don’t believe anyone is safe anymore, no matter what causes their pain. Politicians are grandstanding, DEA and law enforcement have seized control and that means power. My doctor is young and nice, she has a young family. I don’t want to be the cause of her getting in trouble. I’m 70. I have osteoporosis, osteoarthritis and fibromyalgia. I don’t know if my pain is less than cancer, I know I have moderate pain most of the time, and severe pain at times. I feel so hopeless, I emailed my senators. They replied but did not encourage. My brother is end stage in MS; he receives a total of 1 norco per day on a pain contract. His pain levels are now at the breaking point. Which makes ‘remission’ a lot more unlikely due to pain levels alone. Of course this is an aggressive cancer; but with cancer we buy time. My brother reached the ‘no more time to buy OR WANT TO BUY’ point in pain. He didn’t understand how I felt when talking about pain being so severe as to wish death upon one’s self until recently. He has an even stronger will to live; but it is hard with chemo, radiation and stents to drain kidneys in place in his back and even a tumor on his spine. ONE NORCO. No MMJ legal in his state. I tend to agree with Virginia. Until some of these folks in the government truly experience chronic pain or the pain of cancer they are useless as they haven’t a clue. These new laws that are hindering doctors were the result unfortunately of Heroin users and pill mills. So everyone else must suffer. Well it’s about time someone else has taken interest. Expert consensus is unnecessary as well as uncalled for as we already know. The experts in the pain field are those of us who are suffering and those who have already taken their lives due to the ignorance of many, many others. Before this “injustice” came about EVERYONE WAS DOING JUST FINE in the pain community, cancer patients as well! Would very much like to meet these people in person who have put such propaganda out as if we need more to see just what their “true” reasoning is. One very healthy person or persons surrounded by a massive group of chronic pain and cancer patients. Wouldn’t that be very interesting? Something tells me they wouldn’t have so much to spout off about if put in that position. WE KNOW what works, so do our doctors, hospitals, as well as the people that care for cancer patients. I remain thankful that we have Dr. Richard Lawhern and Dr. Lewis advocating on our behalf. It seems little if anyone wants to talk to the pain patients or those riddled with cancer for these are the true experts they need to be speaking with, NOT people who are in tip top shape. Saw this comming! I think the powers that be stop all efforts to mess with the prescribing practices until further research is done. I’m talking about cancer pain and chronic pain. 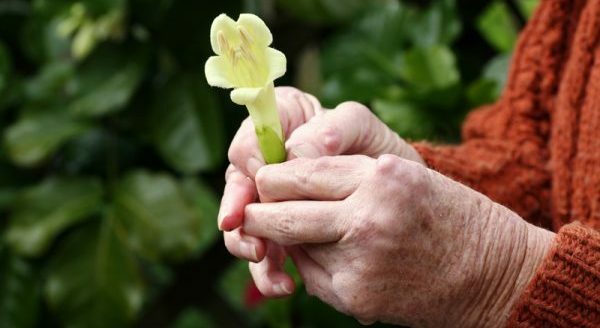 Hands off until ONE governing body comes up with a plan to deal with all sorts of pain, with research to back it up. Some of these so-called experts need to actually go thru chronic pain. Doesn’t matter what the clinical term, or reason, or disease, or how long, or anything else. What matters is: do no harm. These so called experts are causing doctor’s to do the very first thing they’re not to do: do no harm. These so called experts need to be held accountable for each death they cause due to their heartless decisions! May they all rot in hell! Have I thought of ending my life? Yes. Everyday! Only by the grace of God am I still here. And may God have mercy on these so called experts! And may God please, please, get these so called experts off this opioid crisis bologne and go after the real reason they are being paid; the illegal drugs, not the medically used and needed ones. Imagine how the other countries must shake their heads at ours, huh? I have cancer. I have never misused anything in my life. I have multiple other chronic pain conditions in addition to my cancer pain. I am quite sick. I am on disability initially for a debilitating anxiety disorder. Since that time (2003), there has been the onset of the other chronic conditions. My doctor pulled me off of my medication for it, a Valium, because she said she was too worried about anyone being on it along with opiods. My opiod medicine is ridiculous – a tylenol 3 which does nothing. I have taken this combination for over 5 years problem free. I’m not ignorant to side effects. (A secret TORTURE that is never talked about with this condition. Episodes of RLS are enough to make a person commit suicide!) I live with this every day of my life and it is pure hell. It caused a severe knee injury in my sleep that was so bad it took away my ability to walk, for the most part. I followed through with PT. Until I realized IT was causing me to continually re injure my leg. This most severe pain too is untreated. I have two ruptured discs, and arthritis in my back. (I was in car accident 6 years ago) Needless to say, the pain I have in my back alone is crippling. The worst of the worst is my Trigeminal neuralgia pain. This pain I fear more than ANY pain I have and get off and on throughout the day. This pain is the reason for total isolation and plan-making for when it comes on. Think of the worst tooth pain that exists. This pain is ten fold and there is NO BREAK for a long time! I wish and pray for instant death with this pain! Oh how I could go on. WHO IS PRACTICING MEDICINE EXACTLY ANYMORE? IT’S CERTAINLY NOT OUR DOCTORS. THIS IS VERY OBVIOUS TO MILLIONS OF PEOPLE. NOT SO MUCH TO AUTHORS OF ARTICLES SUCH AS THIS. YOUR ARTICLE IS WAY LATE TO THE GAME. THE REST OF US, PATIENTS, HAVE KNOWN FOR A LONG LONG TIME WHAT YOU ARE JUST NOW SCRAPING THE SURFACE OF. A relative of mine suffering from cancer VA was not treating his cancer pain enough He used a shoot gun to end it all. I find it disgusting the VA treated him worse than a vet treats a animal with cancer. A friend of mine her best friend was hospital bound in VA hospital with bone cancer and suffering greatly his pain was not controlled,he was dying, the doctors refused to treat him to make him comfortable he cried constantly the family had had enough and his brothers and sister finally told the doctor to give him treatment they had to make threats.Bill dies 2 days later and not in pain.